The Beijing Olympics 2008 was an amazing project. I led the discovery phase and a visual exploration that resulted in our final site design. Yahoo’s coverage was ranked #1 for visitors and page views, and beat the official Olympic site, nbcolympics.com, in these areas. There were several other notable parts of the project. 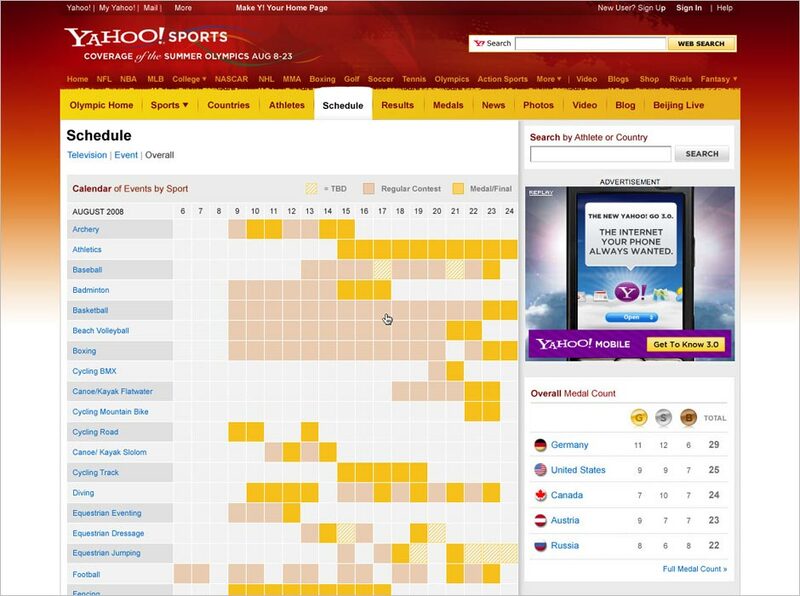 To make the coverage more comprehensive, we introduced detailed results for each event. Data feeds were parsed to create appropriate layouts for each stage of each event. 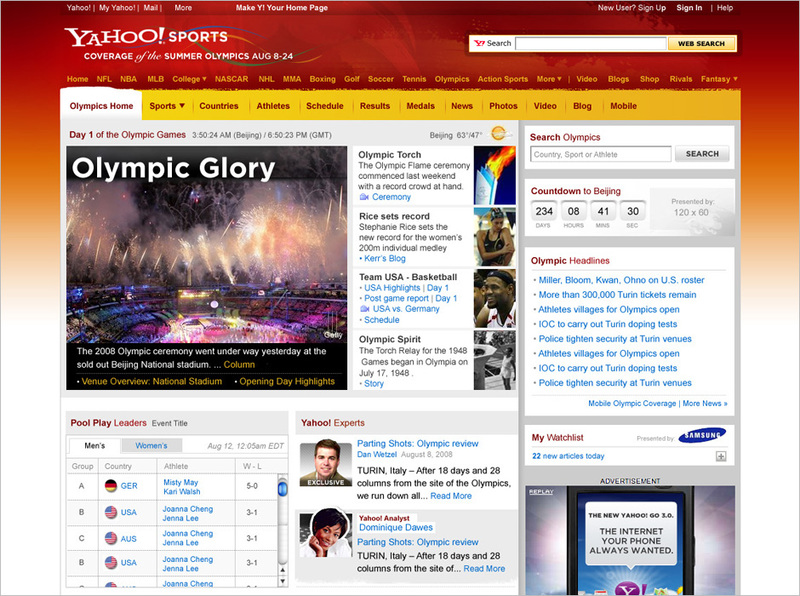 We also introduced a new photo experience and Olympic Blog called “Fourth Place Medal”, which were key drivers of page views. 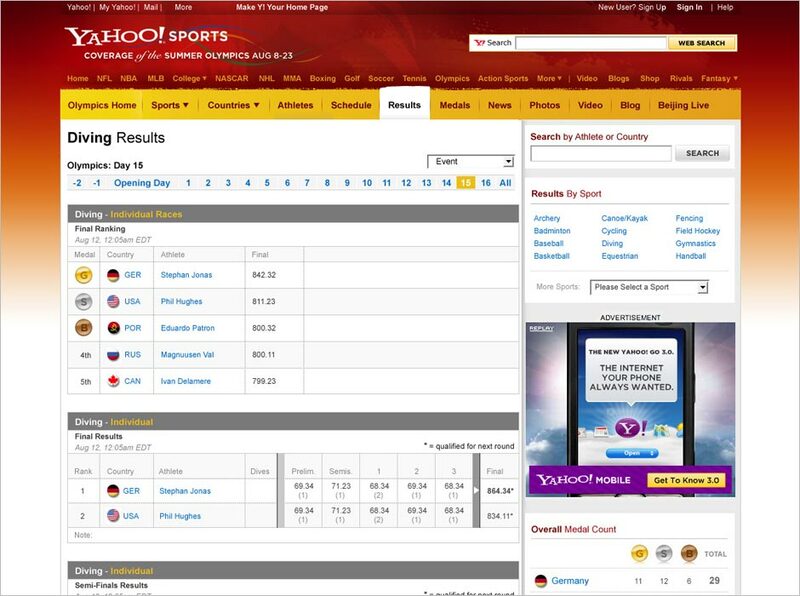 Finally, we introduced a Watchlist feature that allowed users to create a personalized news feed after selecting favorite sports, athletes and countries.